Never before have Jo Durie and Alan Jones been filmed in front of a live audience whilst presenting their invaluable insight into developing a tennis player. 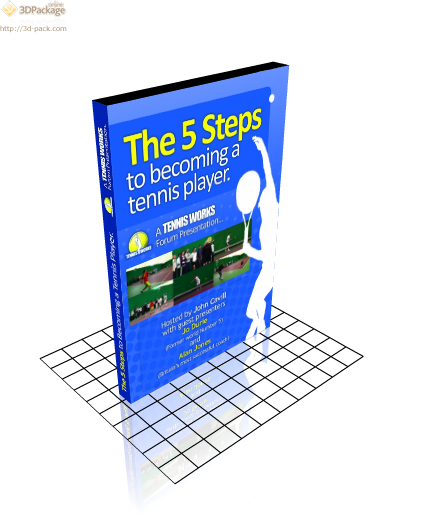 Filmed in October 2009, this production takes any player, parent, coach or enthusiast through the 5 Steps to becoming a tennis player. Jo Durie reached a career high of number 5 in the world along with her coach Alan Jones, who has produced the most top level players in Britain. The internationally experienced duo are still actively coaching and this DVD brings to life all the information you require when developing players, including; warming up, levels of expectations, drills, understanding your player, creating the right environment and much, much more! This DVD is an essential tool to understand the elements for tennis success and the mentality required.